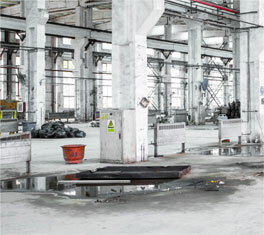 "Family Owned & Operated Since 1973"
delivery of effective industrial cleaning supplies. For over 40 years, Flor-Dri Supply has been the leading choice for the packaging and distribution of a wide variety of industrial ice melters and cleaning supplies. We offer affordable prices for the fast and reliable delivery with optional custom private label packaging. At Flor-Dri Supply, we pride ourselves on being a Michigan-based, family owned company that offers only the highest quality, cost-effective products. We employ the most knowledgeable, hardworking team in the industry and are dedicated to providing superior service to satisfy our customer’s needs. We have the products you need to keep your industrial plant, auto shop, chemical plant, or heavy equipment safe, fresh, and clean with dependable, guaranteed delivery. 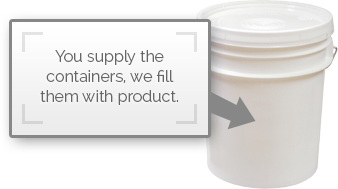 We can package bulk products into virtually any customer supplied container! Get the products and information you need today! or learn about our products and services. The contents of this webpage are Copyright © 2019 Flor-Dri Supply Company. All Rights Reserved.